Even for people who are really concerned about questionable ingredients found in soaps, cosmetic and household cleaners, making your own toothpaste is an unusual pursuit. Yet as recipes go, toothpaste takes a few easy minutes, avoiding toxins, sweeteners, dyes, packaging, shipping, and last-minute shopping trips. The pleasure of knowing how to meet our own basic daily requirements is something of a liberation. Over the years I’ve grown fond of making toothpaste exactly how we like it. 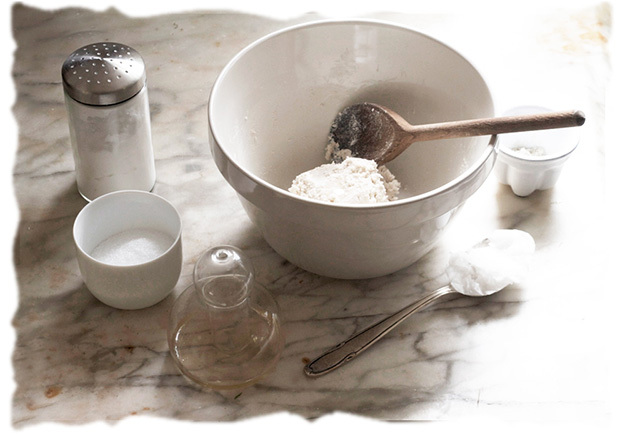 The ingredients are inexpensive, store indefinitely, and go a long way. 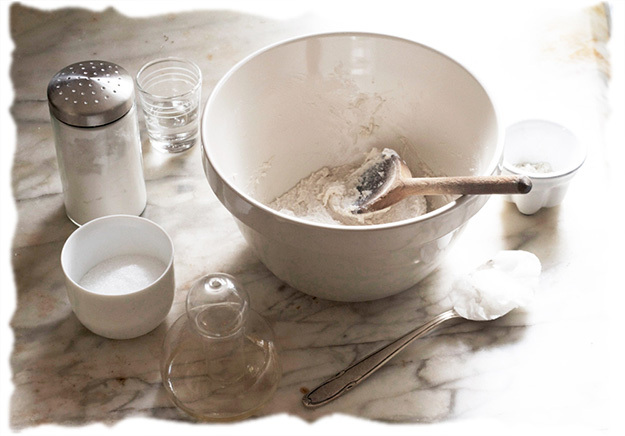 1 cup Calcium carbonate – otherwise known as chalk or limestone flour. Most toothpastes use this as a base, and it makes sense to me to scrub my teeth with calcium. It makes a fine polish. 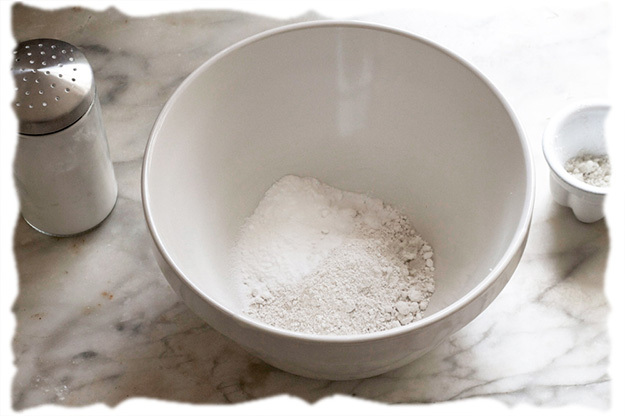 1 TB Sodium bicarbonate – baking soda. I use this as a cleansing and polishing agent, but I don’t love the flavour and lately have been leaving it out and the paste is still effective, tastes better, and is smoother and gentler. Still, it’s an option. 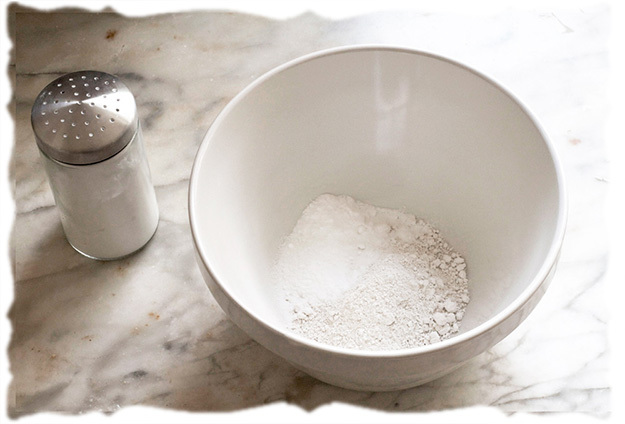 ¼ tsp Sea salt – just a pinch. Salt draws out infection, and helps to heal the gums. I prefer sea salt for its broad mineral content. 2 TB Birch sugar – otherwise known as xylitol. A sweetener with dental benefits, so they say. 4 TB Coconut oil – unrefined. I use virgin coconut oil in toothpaste as a base, mostly for its anti-fungal properties. It melts at body temperature. Stevia – 2-20 drops, to taste. My children like sweet toothpaste, and this herbal sweetener is one we use frequently, as it doesn’t have much effect on blood sugar. Lastly, a flavour, to taste. We like peppermint oil – we use 1.5 teaspoons of an edible, organic extract. There are lots of possibilities for what flavour to use, orange, fennel, and I like that I can keep it mild for the children. 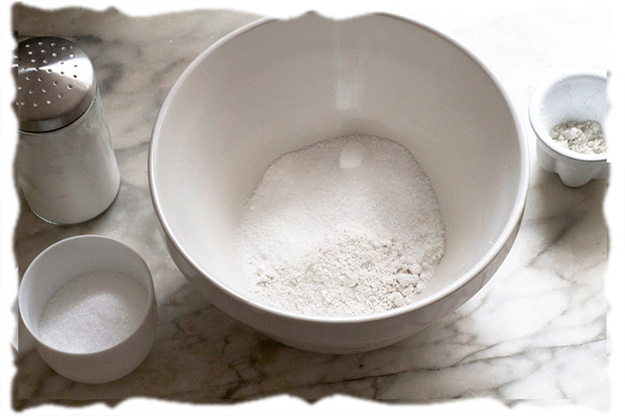 Mix well together calcium carbonate, sodium bicarbonate if using, and sea salt. 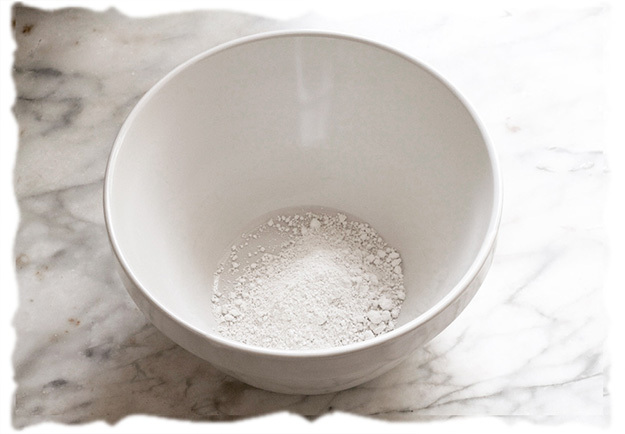 If finely ground, also mix in xylitol; if coarse crystals, dissolve in ¼ cup of hot water. Melt coconut oil if it is cool and solid, and mix it in. 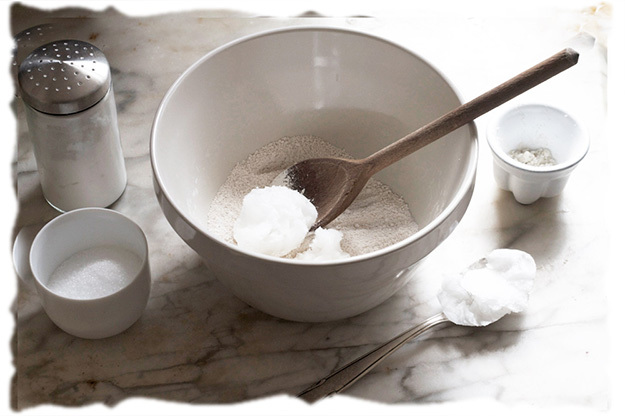 Begin to add water/xylitol water while mixing with a wooden spoon, using just enough to make a soft paste. 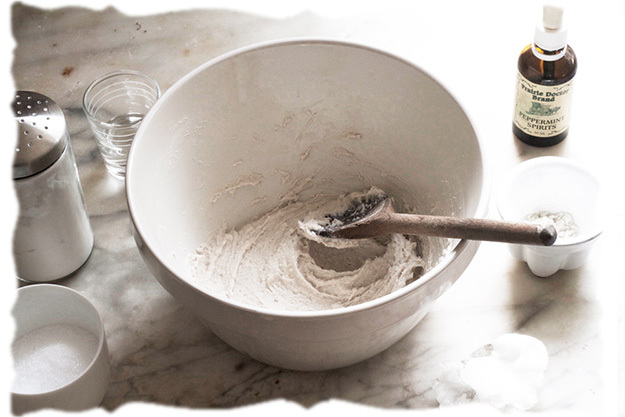 Lastly, add a little of the peppermint oil and a few drops of stevia, until the flavour is to your liking. Of course, I’m not a dentist or a doctor, so I leave you to make your own decisions for your teeth. 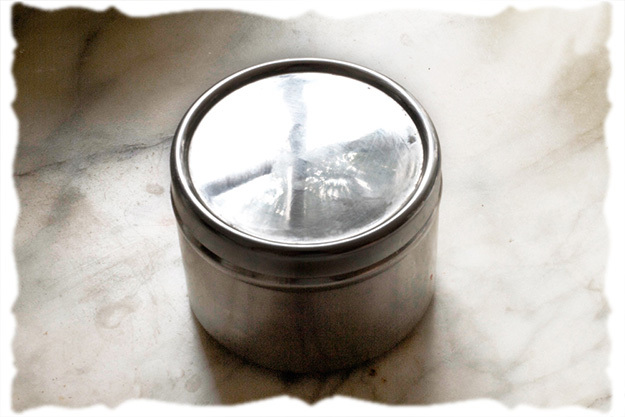 We store our homemade toothpaste in a little pot, ready to use. You can even use the leftover paste from the bowl to polish your silverware, white crockery, and enamel, but that’s a story for another day.